Joseph Houston is a London-based pianist specialising in Contemporary Music. Playing a wide repertoire from Dubussy, Beethoven, Chopin, Schubert & Lizt. Janet Hilton (Clarinet), Pavlos Carvalho (cello) & Jakob Fichert (piano) come together to play challenging trios from Beethoven, Nina Rota, Ginastera, Berg & Brahms. 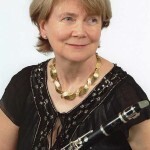 Rosanna Ter Berg (flute) and pianist Leo Nicholson perform a recital of Bach, Dubussy, Ibert, Bartok, Martinu and Poulenc sonatas. 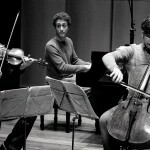 Leading British piano trio (piano, violin, cello) of the new generation named after legendary violinist Adolf Busch playing Haydn, Beethoven & Dvořák. The DeNOTE performing Mozart on period instruments. The Piatti String Quartet, winner of the St Martin’s Chamber Music Competition and several other awards, is fast emerging as one of the UK’s leading young string quartets. Alberto Casadei's programme demonstrates the stylistic range of the cello, from the baroque capability of Bach’s hidden counterpoint through the romanticism of Brahms to the near-modernity of Debussy. For our 2nd song recital of the season we welcome the very distinguished counter tenor James Bowman and his pianist Andrew Plant to perform a wide range of English songs from the 18th to the 20th centuries. The Millbrook ensemble perform the seminal quartet of 1910 by Frank Bridge between quartets of the classical and romantic eras. The Sacconi Quartet play Haydn and Mozart and are joined by the Marmen Quartet to play Mendelssohn's Octet. 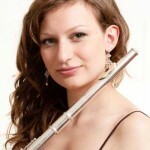 The season finishes as usual with the Thames Consort. The Sacconi play Haydn and Schubert quartets and, with Andrew Berridge on viola, play a Beethoven quintet.